Welcome to Sunday folks, and another addition of And finally, our weekly look back on the whispers and murmurs in the world of wearable tech. This week there's juicy Apple and Samsung news, some interesting Bluetooth updates and a boost for Oculus Rift fans. We at Wareable are huge fans of the Samsung Gear S2 (it's our top ranked smartwatch, don't you know?) so we're excited to hear that a sequel is in the works - the codenamed Samsung Solis. That's the word according to the folks over at SamMobile, who state "the model numbers for Solis will be SM-R760, SM-R765, SM-R770, SM-R765V, and SM-R765S (the last two should be carrier variants)... the smartwatch will run Tizen". 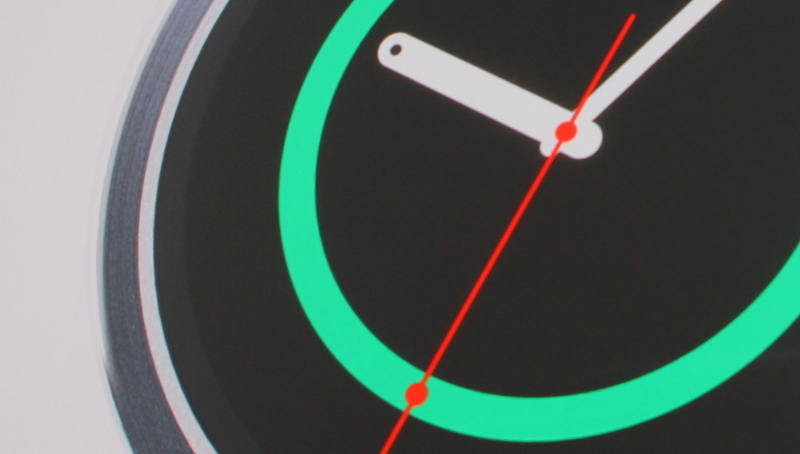 We're a bit miffed it's not going to be Android Wear. Sure, we don't want a one OS world, but where are all the apps Samsung? Is the Apple Watch 2 going to pack in a camera? Maybe, if you take notice of a patent just uncovered from the Cupertino tech giant. Patent 229 details "a compact digital camera that includes an image sensor such as a CMOS sensor and optical components (e.g. lenses) arranged to focus an image onto the image sensor, along with control logic operable to use the imaging components to capture and store still and/or video images." Tech patents are a bit of a nonsense though - so don't take this too seriously. A new version of Bluetooth isn't the sexiest news, we know - but it's a platform that wearables and connected tech rely on and any improvements are a boost to the whole industry. Bluetooth 5 was announced this week and will quadruple the range, double the speed and increase data broadcasting capacity by 800%. "Bluetooth 5 will transform the way people experience the IoT by making it something that happens simply and seamlessly around them," said Mark Powell, executive director of the Bluetooth SIG. "Increasing operation range will enable connections to IoT devices that extend far beyond the walls of a typical home, while increasing speed supports faster data transfers and software updates for devices. And now with the ability to broadcast a much richer set of information, Bluetooth 5 will make beacons, location awareness, and other connectionless services an even more relevant part of an effortless and seamless IoT experience"
It's arriving later this year and, if you want to know more, you can read the full press release right here. Back in January, Oculus revealed its Touch controller system wouldn't be ready for the consumer launch of the VR headset. "On the path to perfecting Touch, we've decided that we need more time before release," read a post on the Oculus blog. "We've made significant advances in ergonomics, and we're implementing many changes that make Touch even more comfortable, reliable, and natural. We're also implementing changes that improve hand pose recognition." The good news is that, when it does land later this year, it will come with a bumper package of games. "We're excited to share that Oculus Touch will launch with more than 30 full, made-for-VR games later this year," said the Facebook-owned company this week. "Including 20 brand-new titles that are designed around the immersive sense of hand presence you can only get with Touch.